Scanned from the All Colour But The Black artbook, this is a fun double-page spread from early in the series. 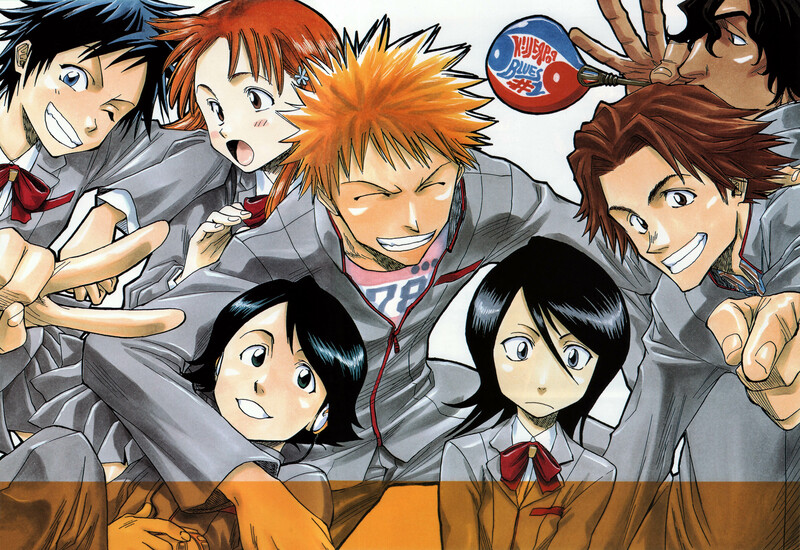 Rukia looks lost and unsure of what fun is while all the school friends pose for the camera. wah! kawaii! nice! thanks for the scan! Ooohh they look so happy! Kyaa, finally a pic with Ichigo's classmates, thanks for sharing. Very cool! Loved it! A very happy scan! Thanks so much! Wow. This image is very good. Thanks. What the hell is Chad doing in the background?